Isn’t it bliss? Not really. I feel a bit let down. That’s what happens when I build things up in my mind. 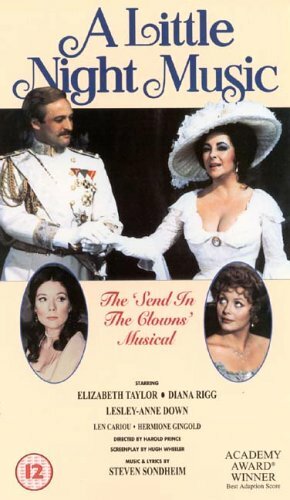 I’d seen A Little Night Music with Elizabeth Taylor as Desiree back when it originally came out in 1978. I was a kid and I think I went with my mom and sister. I remember loving it. I’ve seen the play performed and enjoyed it. I thought I would really like watching it this time around, knowing now that it is a musical remake of Ingmar Bergman’s Smiles of a Summer Night, which I loved. I was mistaken. Watching the two films so closely together was a huge mistake. The Bergman film is superior in just about every way. It’s funnier, more charming, more poignant. Comparing them side by side is painful. I liked some of the performances in this film. Len Cariou is good as Frederick Egerman (he was nominated for a Tony for this role in the original Broadway production). 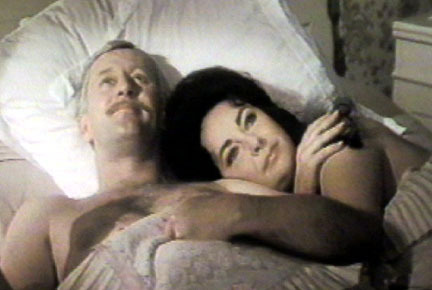 He’s better in the romantic role than the unattractive Gunnar Björnstrand in the Bergman film. I also liked Diana Rigg’s performance as Charlotte (the wife of Desiree’s lover). A Little Night Music is playing now on Broadway with Catherine Zeta-Jones as Desiree and Angela Lansbury as her mother. I would love to catch this and remind myself of what a wonderful play it is, but unfortunately, the review in the Washington Post was entitled, “‘Music’ in the key of blah” so I guess I shouldn’t get my hopes up about this version, either. I need to get the bad taste out of my mouth, so I’m going to find the 1990 Lincoln Center version which got good reviews! How did you even find out that the Bergman film was inspired by A Midsummer Night’s Dream…? Where do you get your info? Netflix is fun. There is a lot available on it. (I watched the Tudors last year on Netflix). So part of my scheduling these is just whatever order I put them in my netflix queue and if any of them are available on streaming, then I watch them that way (the Bergman movie). I really want to read the text again before I start commenting on it. I have about a half dozen other books sitting on my nightstand, but I need to prioritize! Anyway, good luck with your book! That sounds like a fun project.